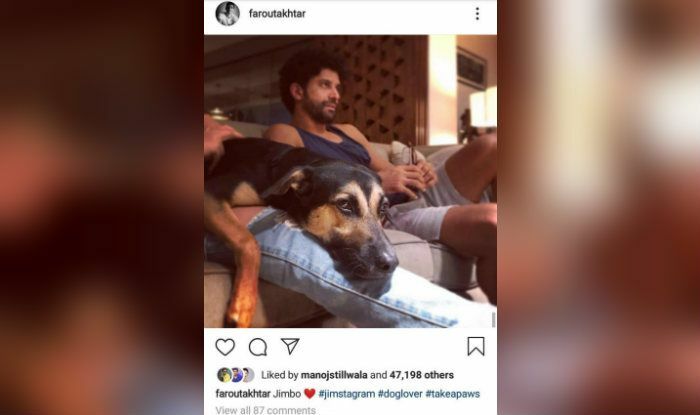 The latest photo of Shibani Dandekar shared by Farhan Akhtar is all adorable but it's his comment on the picture that has our eyes rolling. 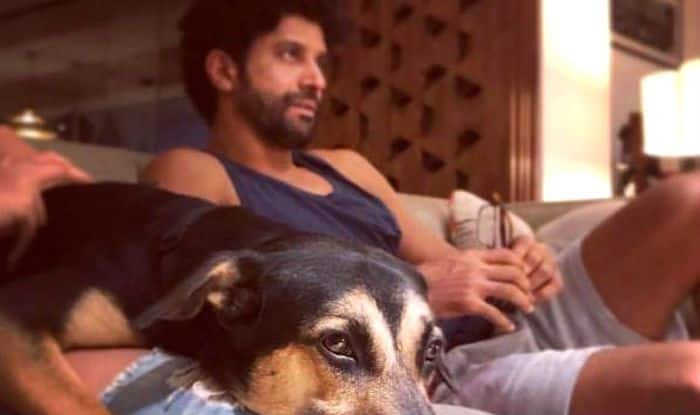 Actors Farhan Akhtar and Shibani Dandekar keep social media busy with their lovely photos. The latest picture shared by Farhan is proof of how good their bonding is. 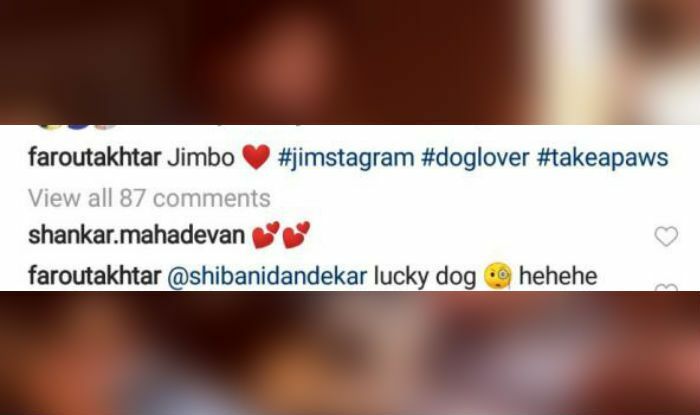 The actor posted a cute picture of his dog named Jimbo resting comfortably on what seems like Shibani’s leg. Even he himself can be seen sitting alongside in the frame. The caption on the photo reads, “Jimbo #jimstagram #doglover #takeapaws” (sic). Now, the dog looks adorable and Farhan looks busy in watching something. But, it’s the comments on the photo that show how wonderful is the camaraderie between Farhan and Shibani. The speculations are rife in the industry that Farhan and Shibani are going to tie the knot soon this year. In fact, during his latest appearance on a chat show, both the actors pulled each other’s leg when the question of their marriage popped up. Also present on the show was actor Bhumi Pednekar.